Getting teamwork off to a solid start is critical to the success of the project and to the team. Here are some tips for how to set customized team guidelines (also known as ground rules) as well as offer them typical guidelines from which they could pick and choose. 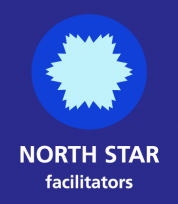 Both activities take from 15 to 30 minutes to execute and are essential when you want to help the group think about their values for working together. We suggest you help a group set guidelines anytime you have a group working together for a considerable amount of time – i.e., they meet regularly for a project or as a regular team, or they are meeting for an important short term project (i.e., they are spending a full day or several days together). The final option C is for when time is too tight to choose but you think guidelines will be helpful. A. Create a customized list of guidelines and more! 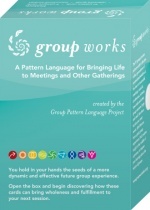 This requires the Group Works Deck which can be downloaded for free from: http://groupworksdeck.org/download-invitation. You can also buy a deck for $25 from them. This amazing set of cards was co-created by many people in the West Coast USA and Canada and has been used for so many great processes. Here is a guidelines activity created by my skilled colleague, Rangineh Azimzadeh Tosang using these cards. As a way to guide our process over our time together, we’d like to start off by identifying our motivations, setting our intentions, and creating guidelines that will ensure a process that reflects your input. Motivations (Why): Individually, everyone at your table group, select 1 card from the deck that represents your “Motivation” for being here. 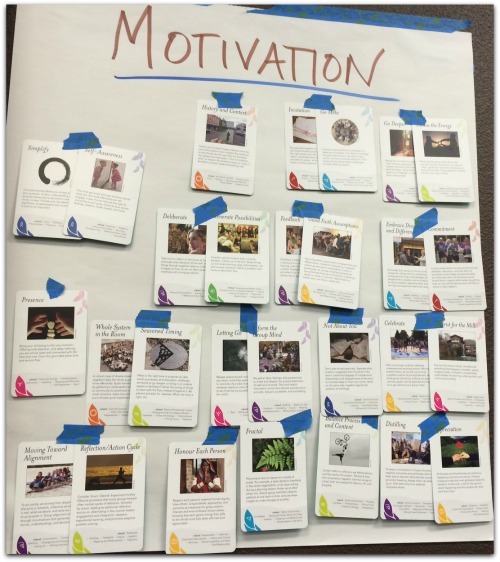 Note: We realize this may be required to be here, but we ask you to consider what other motivations you might have – also if someone else has the same motivation, you only need to select the one card for your table group. Intentions (What): Now, individually, select 1 card that represents your “Intention” for this process – either what you are bringing or what you want to get out of it. Group Guidelines (How): As a table, each person shares their motivations & intention then as a TABLE identify ONE guideline that will keep the process in alignment with the intentions of the group and how they would like the process to be guided over the next two days. 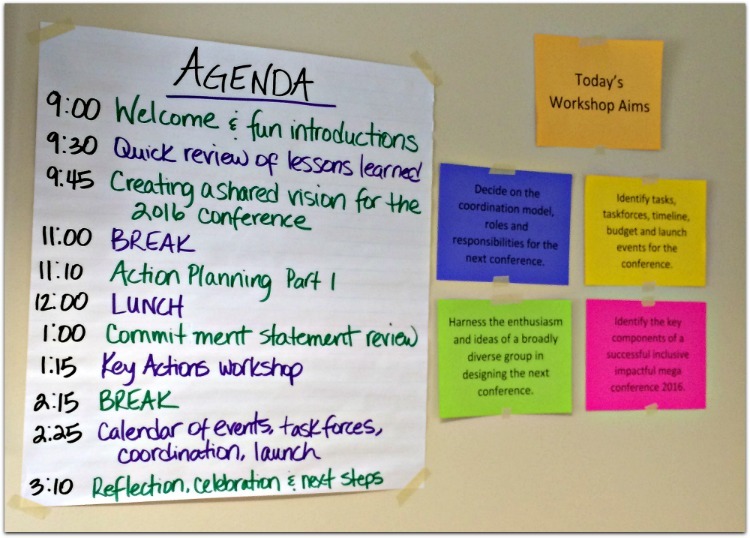 Posting: Send up a volunteer to write on one of flipcharts – Everyone else will post their motivation cards and intention cards on the respective Flipcharts. Summarize: Motivations & intentions. Read out key word from each card only or if many, read a representative sample and ask them to come up and review during the day. Review: Read each guideline out loud and do thumbs up/side/down to get agreement. We need everyone’s wisdom for the greatest results. The sum of the whole is greater than the sum of the parts. Everyone will hear and be heard. Pay attention and listen (Cell phones silenced; IT devices off). Share the time (be brief in your remarks). Ensure actions are clearly recorded. When brainstorming, all ideas are accepted and affirmed. State my views and ask for others’ views. Use specific examples and agree on what important words mean. We will share “airtime” and refrain from interrupting others. If asked to keep something confidential, we will honor the request. In conversations outside of the group we won’t attribute particular statements to particular individuals by name or identifying information without permission. We’ll avoid making negative attributions about the beliefs, values, and motives of other participants. 2. Discuss merits or importance of each guideline to this group in groups of three to four people. 3. 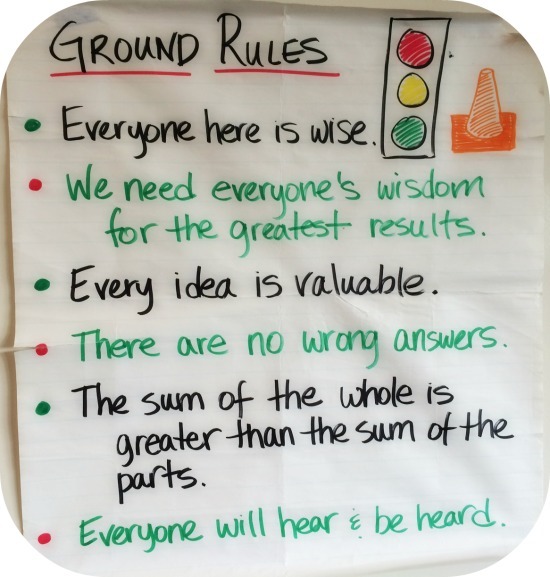 Each group chooses their top three guidelines and reports back to the whole group. 4. Tell the group, that all guidelines which are chosen by two small groups or more, will be used for this event. 5. Write out these guidelines on a flipchart or have each guideline preprinted in large font on large sheets and post the chosen ones for all to see during their time together. You may have a favorite list. Or, you could make one up from the sample guidelines noted in option A, or you could use our favorite list noted in this poster below . These are from the Institute of Cultural Affairs Canada (www.ica-associates.ca). Have fun! Let us know your favorite processes for creating great team guidelines. ← What’s the Strategic in Strategic Thinking and Planning? thank you for sharing the groupworks card tool for guidelines. My team has used this technique within our team to set guidelines for our projects.Will try it it with a larger group. great David. we used it with a group of 50 people and had it all done in 20 minutes or so – all three parts of the process.